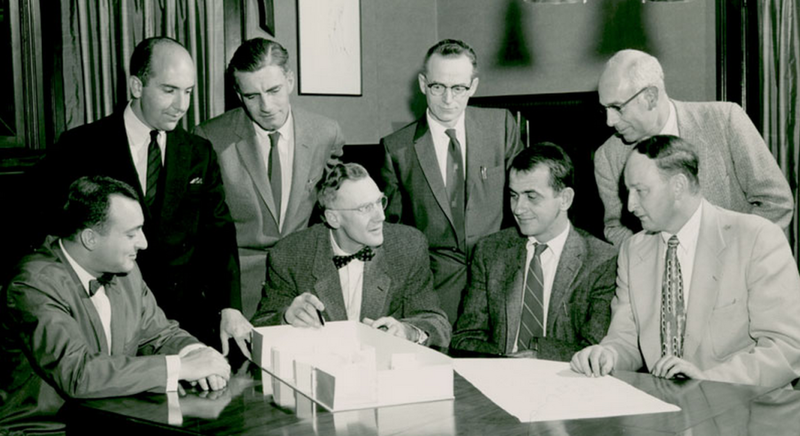 POTESTIO | Portland Design in the 1960s: Suits. Cocktails. Talent. Portland Design in the 1960s: Suits. Cocktails. Talent. The 1960s design scene in Portland had elements that may seem familiar to designers today: passionate creatives, a small community, and a collaborative work ethic. Out of this creative pool emerged Byron Ferris, Bennet Norrbo, and Charles Politz, three men whose careers overlapped, who influenced each other and yet left their mark in distinctly different ways.